Sunday, January 13, 2019, was Father Paul Moore’s last day serving as our Rector. The next morning, he got in his truck and headed north to the state of Washington, where he will be serving. We shared faith journeys with him for six and a half years. Bilingual in English and Spanish because he was born and raised in Ecuador, he used Spanish in our services for parts of the Eucharist and at other times. His new position will require him to use his Spanish more. The church was packed that Sunday, with many different people there for the special event: parishioners who have moved away or rarely attend, people from a variety of backgrounds who knew Father Paul in different contexts, from Rotary to border concerns to personal connections. After a usual service, there was a special goodbye part. Here are a few photos taken by Stewart Warren of our congregation. 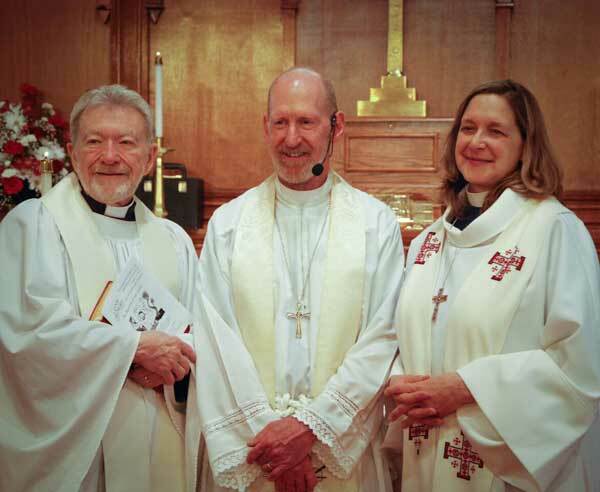 In this one, you see Canon Raney who had come from Albuquerque to assist and then to meet with the vestry, Father Paul Moore, and Pastor Sarah Guck. 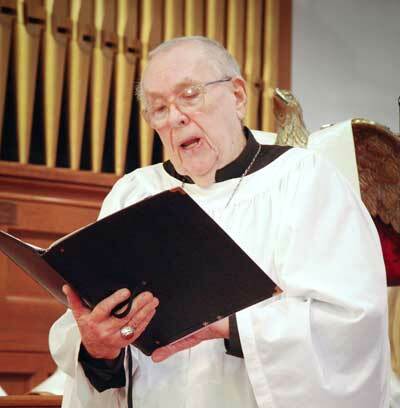 Here Cantor Larry McLellan is singing one of Father Paul’s favorites, Panis Angelicus by Cesar Franck. The two pictures below were taken after the service. Here Father Paul is with the choir. He’s second to the left in the back row. Our choir director is Adele Guisto, on the left in the front row. 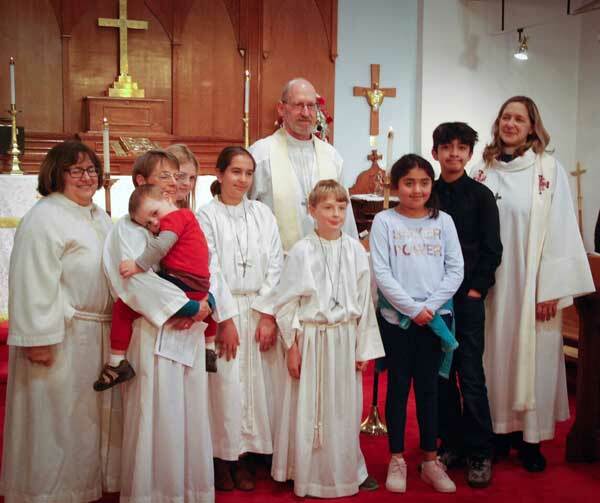 And here you see Father Paul and Pastor Sarah with a group of mostly younger acolytes. 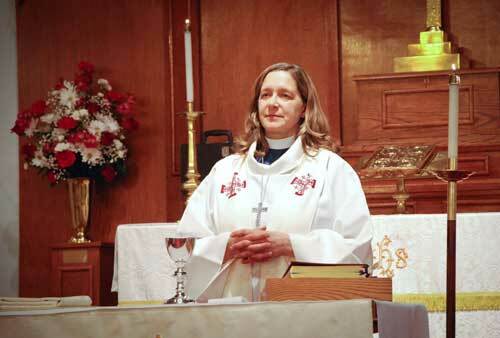 The service was followed by–what else?–a big potluck. Then we in the vestry had a short meeting with Canon Raney, in which he gave us an overview of what is ahead. The vestry will be given names of priests who are willing to serve as Transitional Priests for the coming months. We will talk with them and select one. A Transitional Priest is not someone who would want to become our next rector; it’s a temporary position, as the name implies. A selection committee will be chosen some months later, and it will not include vestry members.That committee will be charged with the task of putting information about our church and congregation on this website in line with a particular form, so people who might want to be our next rector can see something about what we are like.